85cm wide x 205cm high. Supplied rolled up inside stand in a travel case with handle. For indoor use only (or inside a tent/gazebo). 65cm wide x 315cm high. Plus parasol-type base which MUST be filled with water. Supplied dismantled in a travel case with handle. For external use (but not in very high winds). 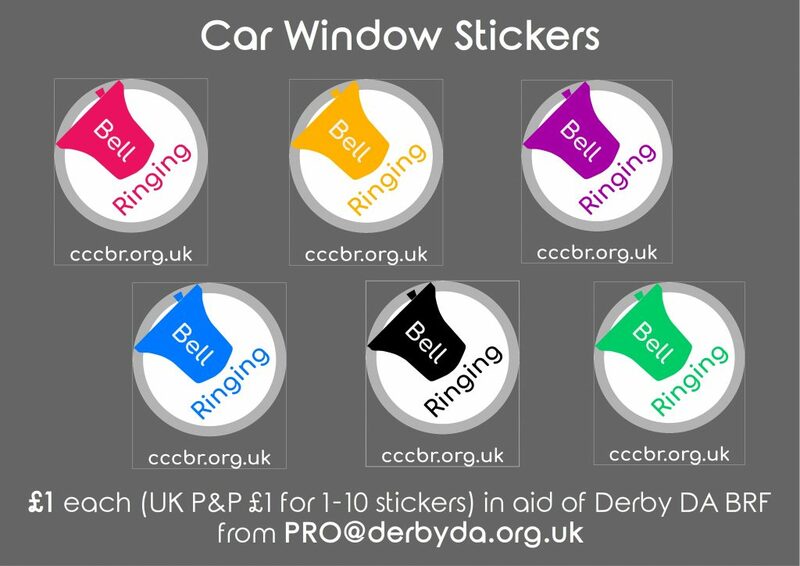 These are available to borrow (subject to availability) for public display at major ringing events and local promotional events. They are normally stored in Derbyshire and supplied via the network of ringers travelling the country, so please make appropriate arrangements for collection and prompt return. Open the PDF, click in each of the 4 sections and type in the details (1: Tower name and/or introduction; 2: Bell details; 3: Normal ringing times; 4: Contact details plus websites and social media pages). Open the PDF, click in the Contacts section and type in your contact details (plus other information e.g. ringing times, website details, Facebook page details, etc) (maximum 5 lines of text). 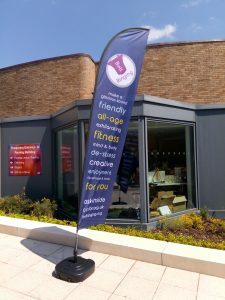 Makes 2 A5 flyers per sheet: Please print on one side at a time then turn over the paper and print the same on the reverse and cut in half. (If your printer supports double-sided printing, please use the 2-page version. You will need to enter the contact details on both pages and set the printer duplex to flip on the short side). For a Porch notice in either PDF or docx format. For a Special occasion in either PDF or docx format. For a First peal in either PDF or docx format. For a First peal as conductor in either PDF or docx format. For a First quarter peal in either PDF or docx format. For a First quarter peal (fewer details) in either PDF or docx format. What is a peal? 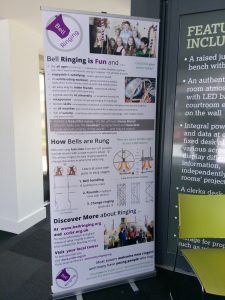 Information about peal ringing that you are free to copy and adapt. CCCBR recruitment poster: Ring the changes. Available in printed form or as a download <See details here>. Its style matches that of the Recruitment leaflet (next item). 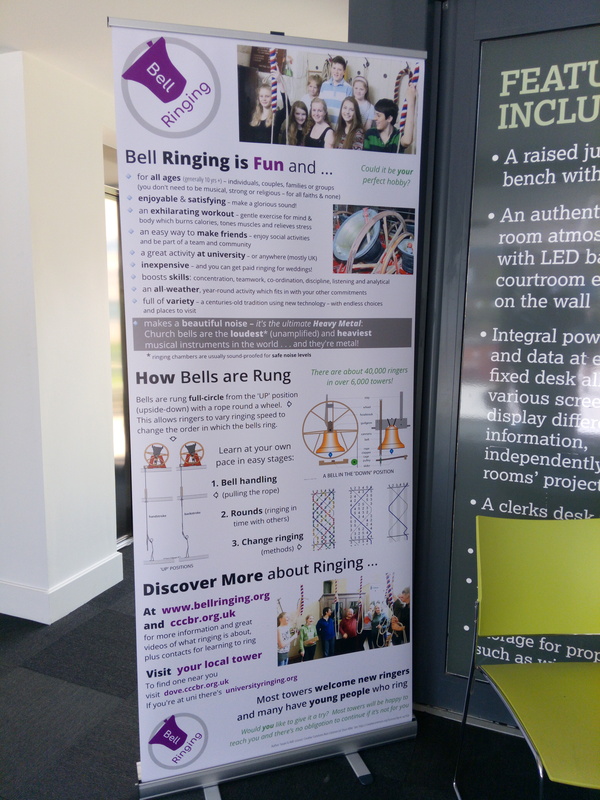 Recruitment leaflet: Bell Ringing, the ultimate team activity. Glossy leaflet for distribution to the general public. Supplies available from CCCBR. Also as a download. Presentation slides about Bells and Bellringing. For ringing educational and publicity purposes. Leaflet for incumbents and churchwardens.